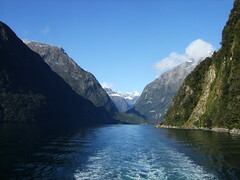 USGS has published a seaquake to the south of Fjordland National Park. This is one of the first reports we are publishing in this area, although it is a known fault line with linked earthquakes. What makes this new earthquake (seaquake) even more special is that GNS Science did not report about this tremor. At earthquake-report.com we do not always understand the publishing policy of governmental organizations. The Christchurch aftershock of M 4.8 was not published by USGS although they publish lesser quakes in the rest of the world. Same goes for GNS Science who is publishing Magnitudes of only 2, but did not published this one. 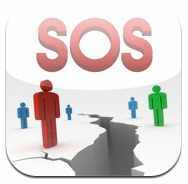 QuakeSOS is a FREE iPhone application developed by Armand Vervaeck, the creator and main contributor to Earthquake Report. The Application simplifies immediate group communication to friends and family members (with your exact GPS location) and is constantly feeding the users with "Earthquake Report" news. Together with your own family and friends, QuakeSOS will be your closest earthquake friend.